Reverse mortgage loans are special mortgages for seniors. They pay a homeowner loan from accumulated equity in a property. Generally, no repayment will be required until the borrower no longer uses the home as a principal residence. They were introduced to the market in 1989 with the Home Equity Conversion Mortgage, which was sponsored by the U.S. Department of Housing and Urban Development (HUD). At Pulgini & Norton, our real estate lawyers can help Boston residents seek home equity conversion mortgages (HECMs) or offer advice on them. A reverse mortgage is a loan that you are not required to pay back until you sell your home or move out of the house permanently, or the last borrower to survive dies. An HECM is one of the most common types of reverse mortgage loan. They are insured by the Federal Housing Administration (part of HUD). Since HECM is supported by the federal government, any fees and costs are limited, and you know that the lender is going to meet its obligations. Why obtain a reverse mortgage? They are useful if you need to pay for living expenses, cover the cost of your medical bills or prescriptions, supplement social security income, or maintain your financial independence. However, you will need to remember that reverse mortgage loans are different from conventional forward mortgage loans, and that they are complex transactions that entail some obligation on your part. For example, you will need to pay taxes and insurance, and you will need to maintain the property appropriately. If you fail to fulfill such obligations, it will constitute a default that leads to a foreclosure action. Moreover, while interest on a conventional loan is calculated as simple interest, the interest on a reverse mortgage is calculated as compound interest. This can affect any equity that you have accumulated in your home so far. There are also several benefits to obtaining a home equity conversion mortgage. These loans have lower interest rates. They provide the highest advances and usually cost less than other types of reverse mortgages. Also, the government will require that you receive counseling from a HUD-approved counseling agency before getting the loan. You should go to a counseling agency that has been approved by the Executive Office of Elder Affairs in Massachusetts. In some cases, it may be wise to have family members and your attorney with you. At the session, you should ask how to interpret the loan documents and ask about alternative loan products. There are numerous red flags to be aware of. For one, a reverse mortgage should not have a prepayment penalty or restriction. For another, you should beware of any sales efforts that involve the purchase of other investments or insurance policies with loan proceeds, or being advised to have loan proceeds payable to third parties, rather than you as a borrower. Under Massachusetts’s law, you can rescind or cancel the reverse mortgage loan within three business days of closing the loan. There is also a seven-day "cooling off" period once you sign a loan commitment letter. During those seven days, you still have the right not to proceed. 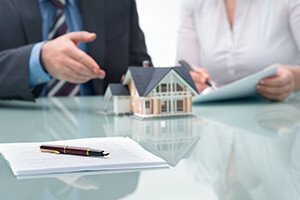 However, because of these short windows of time, it is best to secure the advice of an experienced real estate attorney as soon as possible to make sure that you do not get stuck making a commitment you do not fully understand. The experienced property transactions attorneys at Pulgini & Norton can advise you on financing options for a home in the Boston area. We also represent clients in other nearby cities, including Medford, Somerville, and Cambridge. Call us at 781-843-2200 or contact us via our online form for a consultation.